Château Gaby is a blend of three grape varieties - Merlot, Cabernet Franc and Cabernet Sauvignon - grown on the clay limestone hills of the estate. This wine is lovely in color: an intense red with bright tints. Hints of pretty, red fruit are complemented by flavors of black fruit in some vintages. Discretely woody undertones highlight the classy nature of this wine. Very ripe, very elegant flavors with slightly toasted and spicy hints linger on the finish. All the wines from Château Gaby pair well with buttery foods, sharp cheeses, roasted meats, and veal. Ranked in the top 1% of all wines in the region by Vivino. Awarded 91 points by Wine Spectator and Wine Enthusiast. Awarded 90 points in 2014 and 92 points in 2016 by James Suckling. Awarded 92 points by Decanter. Gaby Cuvée is a blend of grapes selected from the best plots of property on the estate. The soil types are more complex, and the wine is made up of 80% Merlot and 20% Cabernet Sauvignon. This cuvée has a lovely deep color with bright tints. The bouquet is very elegant and multilayered with hints of spice and black and red fruit that delicately intermingle. On the palate, this wine is delicious and complex with round, silky tannins. It displays multiple layers, and is a very subtle, elegant wine. Our 2008 vintage was awarded the #1 Bordeaux (out of 596 wines) in Le Grand Classement des Vins de Bordeaux. More recently, the Gaby Cuvée was ranked 12 out of 1,000 Bordeaux wines, outranking wines ten times the price. Awarded 92 points by James Suckling. The Château Gaby vineyard produces such great quality grapes that we can create three tiers of excellent wine. 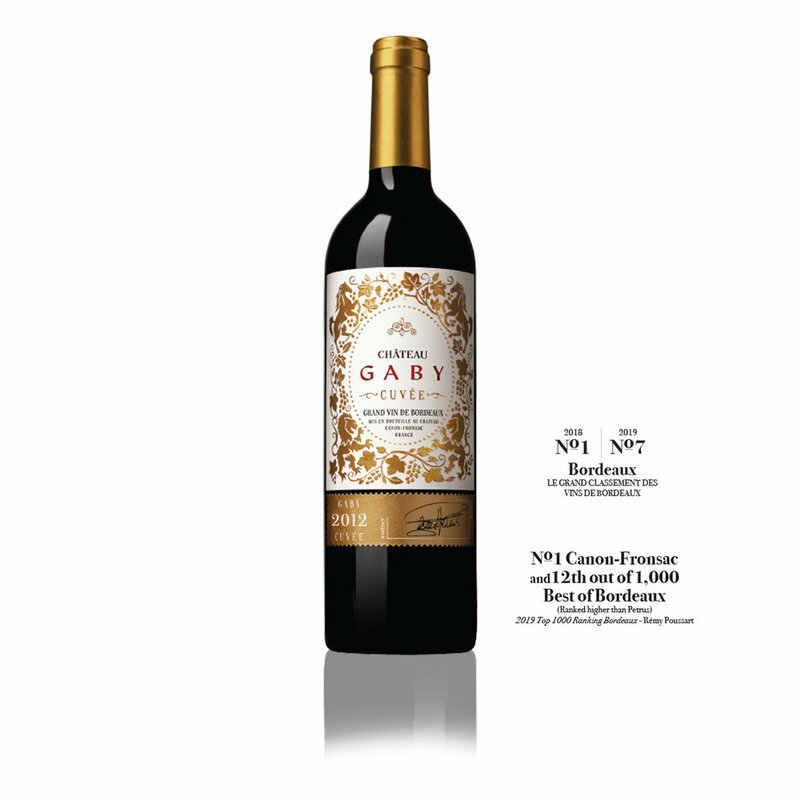 Princess Gaby, our third wine, is a blend of 80% Merlot, 10% Cabernet Franc, and 10% Cabernet Sauvignon. Well-balanced with elegant flavors and fine tannins, the wine tastes of transformation. Strong on the nose with red fruits and licorice notes, Princess Gaby softens on the palate with a long finish and traces of vanilla. To add complexity, Princess Gaby is aged in barrels used to make the award-winning Château Gaby.